Emotional connectivity as a key aspect of effective eLearning design and development is not a new idea. Human brain is not just a cognitive information processing mechanism, but a complicated system where affective and cognitive functions are inseparably integrated. In other words, addressing your learners’ emotions can be particularly valuable since an emotionally safe eLearning environment boosts self-confidence and motivation, encourages taking risks, and enhances creative expression, all being critical factors of an effective eLearning experience. Taking a step forward, it has been proven that learning effectiveness can be influenced not only by generally addressing learners’ emotions, but also by focusing on improving the components of learners’ emotional intelligence. To understand what emotional intelligence is, we will use Daniel Goleman’s definition, which describes emotional intelligence as the capacity for recognizing our own feelings and those of others for motivating ourselves, and for managing emotions well in ourselves and in our relationships. Goleman has conducted multiple research studies demonstrating that “social and emotional skills are intimately linked with cognitive development, as in an ideal learning environment students are focused, fully attentive, motivated, engaged, and enjoy their work. (…) Similarly, caring relationships with teachers and other students increase students’ desire to learn, and their confidence in their abilities to try harder”. Sure, this statement makes perfect sense in an educational environment; but can emotional intelligence affect eLearning in such a positive way? Will your learners benefit from boosting their emotional and social skills? In this article I will reveal how the emotional intelligence of your learners impacts eLearning and I will show you how to use it in your eLearning course design and development. 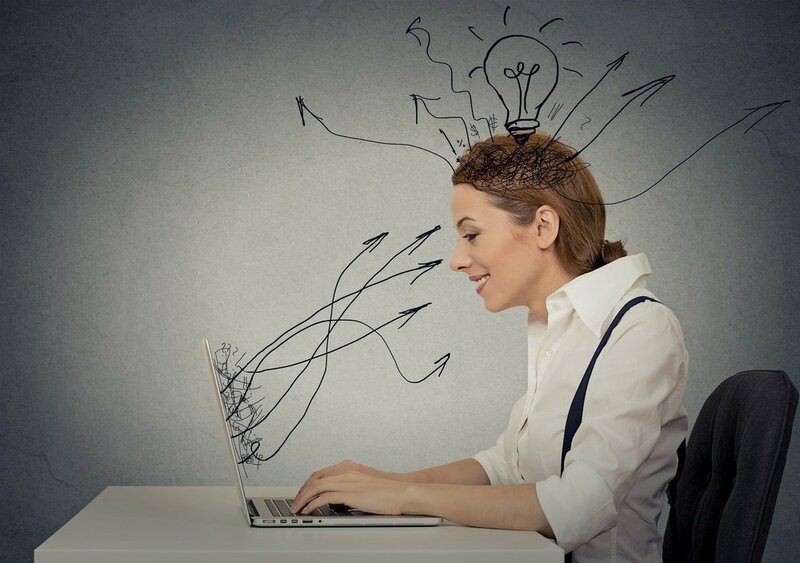 In order to explore the impact of emotional intelligence in eLearning, or in other words in order to explore how emotional facilitation of thinking improves your audience’s engagement and performance, you need to have in mind the five components of emotional intelligence, three of which concern personal competence and two of which correspond to social competence. Self-awareness is the ability to recognize and understand one’s own emotions, strengths, weaknesses, and drives, and use them to make decisions. The stronger your learners’ ability to be emotionally aware throughout the eLearning experience is, the better sense of control over their inner selves they gain, therefore the greater becomes their self-confidence to achieve their learning objectives. Help your learners identify what they are thinking and feeling when making decisions during the eLearning course by offering them control over their eLearning experience, following a learner-centered approach. This way you will encourage them to be more creative and flexible in problem solving, as well as more efficient in decision making. Trigger their interest and curiosity by integrating aesthetically appealing material and entertaining multimedia elements into your eLearning course, and encourage them to apply what they are learning by integrating interactive eLearning activities. Regulating our emotions means monitoring our positive and negative feelings; hence handling difficulties without giving up. This component of emotional intelligence is particularly critical for eLearning, as learners often feel frustration, boredom, and anxiety during difficult, dull, or disengaging eLearning assignments. As an eLearning professional you should help your audience control their negative emotions, as well as adapt themselves to changing circumstances. In order to do this, always analyze your audience and set clear and relevant to them eLearning objectives and goals, to eliminate frustration. Help them monitor their progress towards achievement by integrating several assessments throughout the eLearning course, offer regular feedback, and consider creating eLearning materials that boost your learners’ self-management skills, such are interactive branching scenarios. Self-motivation is the ability that we have to channel our motivation and drive to achievement. In eLearning, a strong sense of self-motivation on your learners’ behalf means that they are able to generate positive feelings like enthusiasm, zeal, and persistence, in order to learn. It sounds ideal, doesn’t it? To enhance your audience’s self-motivation skills, you need to offer them eLearning material that is meaningful to them. Only meaningful eLearning content has the potential to discourage apathy and boredom. Motivate your learners by offering them engaging eLearning courses that connect to their personal and professional lives, for instance by using scenarios that offer real world benefits and boost their optimism by allowing them to try again when they fail and learn from their mistakes. Furthermore, offer them concrete feedback throughout the eLearning course to help them identify their strengths and weaknesses more effectively. As regards the social competence of your learners, social awareness is the ability to recognize and understand the emotions of others within social situations. An alternative word for social awareness is “empathy”; that is the ability to consider and be sensitive to other people’s feelings when making a decision. This component of emotional intelligence is particularly critical in online training course design, as in complex corporate environments learners need exceptional decision-making skills in order to perform effectively in areas like leadership, sales, or customer service. To enhance social awareness in your employees, consider integrating problem-solving and conflict resolution interactions into your online training course, and therefore providing your audience with opportunities to take responsibility of their actions while understanding different perspectives. Use branching scenarios that offer your employees the chance to explore how their choices lead to real life consequences, and follow a persuasive learning approach, that builds emotional connections among your audience. Social skills / Relationships management. Finally, social skills or relationships management is the ability to relate to other people in a supportive way, by managing conflict. Handling social relationships is another critical component of emotional intelligence in eLearning, for obvious reasons. When learners are able to communicate and cooperate well with each other, they become more effective and produce better results. To boost their social skills, integrate social learning in your eLearning course development, in order to encourage your audience to foster strong relationships with their peers inside and outside of the virtual classroom. Offer them opportunities to share responsibilities during the eLearning course through the use of team player eLearning games, and help them build bonds, collaborate with each other, and manage conflict during challenging eLearning assignments and group exercises. This way, you will create the ideal environment for productive relationships, and the development of trust, motivation, and commitment to results. Now that you know how emotional intelligence affects eLearning how to use the emotional intelligence of your learners in eLearning, you may be interested in learning how you create eLearning experiences that stick. Read the article 7 Tips To Create eLearning Experiences That Stick where I share some invaluable tips that can help you create eLearning experiences that are memorable, no matter what your learning objectives might be or what your audience needs to take away from the eLearning course.